Today’s blog is all about Kildare’s love for the sport and industry that is horses. This is our 3rd Kildare Blog of the Series. Sallymount Stud & Gilltown Stud are both owned by The Aga Khan. 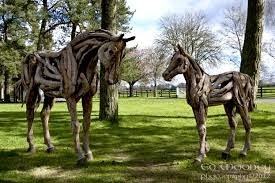 They are located in Brannockstown, Kilcullen, Co. Kildare. 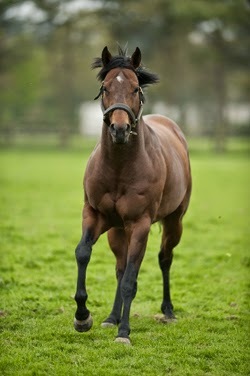 Gilltown is home to the stallions; Dalakhani, Azamour & Sea The Stars. Sea the Stars is a champion Irish Thoroughbred race horse. He has won the 2,000 Guineas, the Eclipse Stakes, the Epsom Derby plus many more. The Aga Khan’s Irish Studs are made up of four different properties: Gilltown, Sallymount, Sheshoon and Ballyfair, formerly known as Brownstown. Gilltown is the Aga Khan’s public stud, currently home to Azamour and Dalakhani. Sallymount is adjoining Gilltown and houses the Aga Khan mares post foaling. 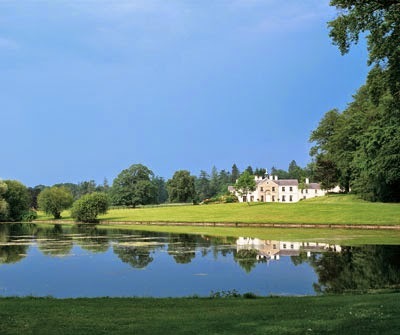 The Gilltown Stud and adjoining Sallymount Stud cover an area of approximately 1500 acres in total. When the Aga Khan took over the studs from his father, his inheritance included six farms in Ireland, two being Sallymount and Gilltown. He then sold these two stud farms which he later bought back 18 years later. Gilltown and the adjoining Sallymount are surrounded by such an amount of history as the two studs are sites of two ancient forts dating back to Neolithic times (Gilltown) and Viking Times (Sallymount). A new stallion barn was built recently and was designed to meet the demands of a 21st century breeding establishment. This Gilltown Stud was built in a Georgian Style back in the 17th Century and is a typical Anglo Irish Estate. Today Gilltown and Sallymount are nature sanctuaries with a great variety of wildlife, flowers and rare mature trees. The Aga Khan thinks of these properties as part of Ireland's national heritage and a legacy for future generations. Another Brannockstown Stud is Kennycourt StudFarm. This Stud Farm is owned by Eugene McDermott and is spread across 550 acres. Eugene McDermott, the owner, expanded the stud and it now has a Mile long Sand Gallop, 2 Horse Walkers, 3 Lunging rings and 5 horse barns. It began as a National Hunt Stud and has now evolved into a fully operational stud for both flat and national hunt horses. They breed and sell top quality horses. Irish National Stud was purchased from the Fay family in 1900 by Colonel William Hall Walker. Hall Walker became the most successful breeder of the age, enjoying his finest hour when King Edward VII led MINORU, born and raised at Tully, into Epsom's winner's enclosure following a famous victory in the 1909 Derby. In 1917 the farm and all its stock was gifted to the Crown and became The National Stud under the leadership of Sir Henry Greer. The success continued with the farm producing the winners of all five Classics. In 1942 SUN CHARIOT, born and bred at Tully, earned herself an indelible place in racing history when landing the fillies' Triple Crown - the 1,000 Guineas, Oaks and St. Leger – for King George VI. Almost seven decades later, in May 2011, Her Majesty Queen Elizabeth II came to the Irish National Stud to see for herself where the winners of five Classics for her family were produced. Art Connoisseur, Big Bad Bob, Lord Shanakill, Invincible Sprint, Dragon Pulse are the stallions at the stud (to name just a few). 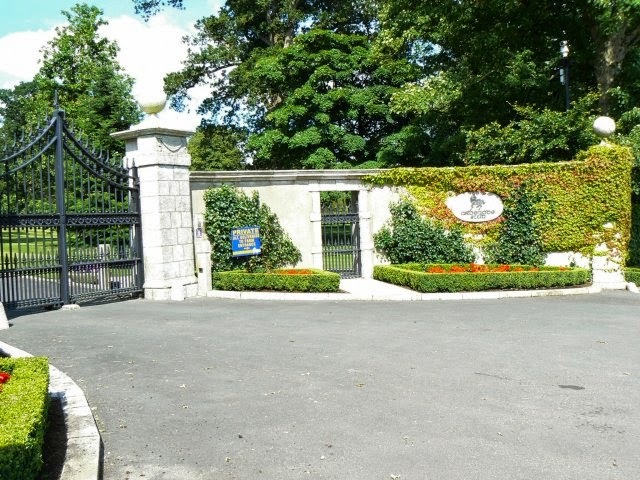 Kildangan Stud is located in Monasterevin, Co. Kildare and covers approximately 1,500 acres. This stud is owned by the Kildangan Stud Unlimited. Who also own Ragusa Stud which is a 400 acre stud in Ballymore Eustace, Co. Kildare. This stud was purchased in 1986 by Sheikh Mohammed bin Rashid Al Maktoum who is the UAE Vice President and Prime Minister and Ruler of Dubai. Sheikh Mohammed bin Rashid Al Maktoum also owns Darley which is a global thoroughbred breeding operation, which currently stands stallions in six countries around the world. 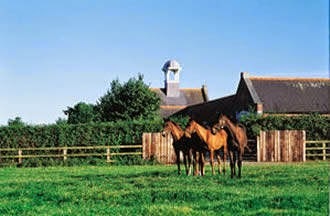 Its headquarters are at Dalham Hall Stud, located within the historic home of racing, Newmarket. The Kildangan stud is home to 9 thoroughbred stallions; Shamardal and Cape Cross, along with the high promising young stallions Teofilo and Iffraaj. 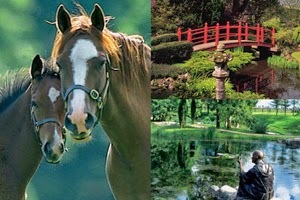 Rathaskar Stud is situated on 300 acres of land. 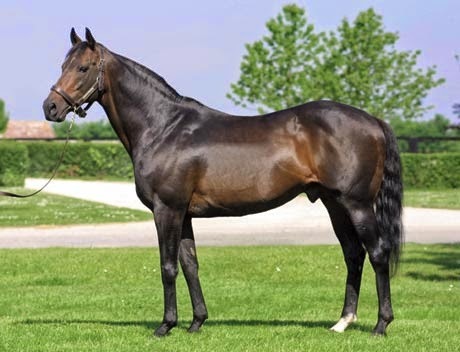 At present we have five resident stallions; We have three top quality descendants of the great Danehill in Clodovil, Thousand Words and Fast Company. Their own addition to the stud in 2013 was Born To Sea. This stud farm is linked with top class thoroughbreds and heritage. Stallions have been standing in Rathasker since 1984 starting with Red Sunset. The Stud is owned by the Burns Family and we named one of our function rooms after the Rathaskar Stud. I hope you enjoyed reading this blog on Kildare and the Studs we have locally. Start to follow the blog for more interesting topics about a wide variety of areas & interests. here all day if I was to go through them all.